Be the first to buy the latest issue of I-M Magazine and save postage and packaging cost . 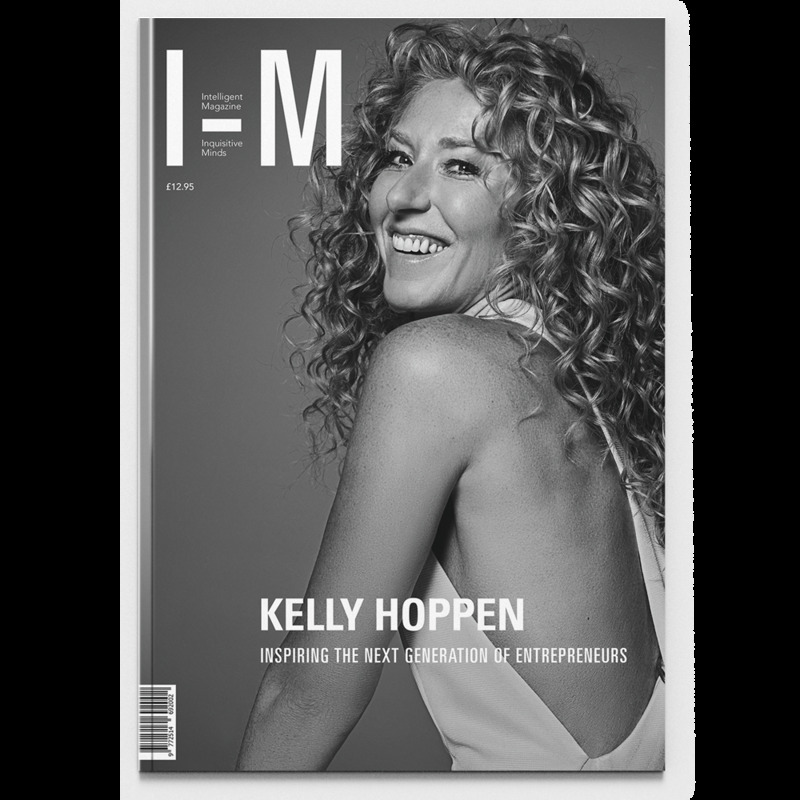 Our cover story in this issue is Kelly Hoppen MBE, one of the most celebrated interior designers in the world, with a passion for inspiring women in business and supporting young entrepreneurs. We interview two war heroes, Falklands survivor Captain Robert Lawrence MC and World War II veteran, Steve Weiss, about the invisible scars of war. Francesca Fearon spends an evening on the medieval hilltop hamlet of Solomeo listening to Brunello Cucinelli talking about the realisation of his dream; and Simon de Burton takes us on a journey exploring the 150 years of history of the prestigious watchmaker IWC. In this edition, we pay particular attention to the conservation of our oceans, with projects like Malpelo island in the East Pacific, the extraordinary work of marine biologist, Brad Norman, in Australia and the Gombessa project, led by French biologist and extreme diver, Laurent Ballesta. Our cultural section reveals some of the secrets to buying contemporary art, presents the work of the formidable artist and rebel, Mouna Rebeiz and bring us the latest project by the acclaimed film director, Jack Bond. As always, we bring to you a selection of objects of outstanding design and our pick of watches and jewellery, to give you ideas for your Christmas shopping. This is only an appetiser to what you will find in this new issue of I-M Intelligent Magazine, which we hope you’ll enjoy reading at least as much as we enjoyed putting it together.